On November 28, 1905 the Milwaukee Road Board of Directors approved the the Pacific Extension to the West. 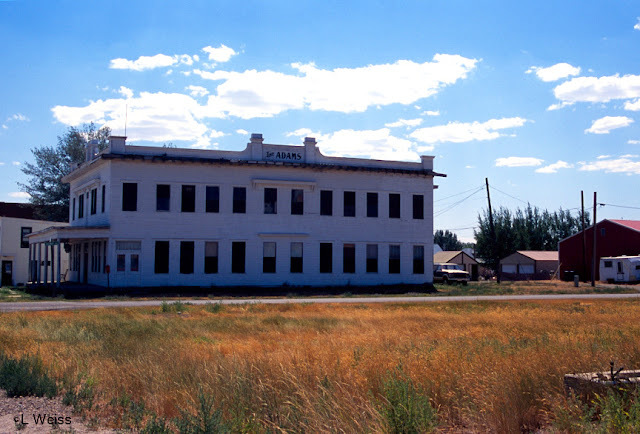 98 years later, a hot summer day finds Lavina, MT situated 1290 miles from Chicago out along the approved extension. The remnants of that extension remain scattered on the ground at Lavina as the concrete signal base attests. But like the other miles and miles of this reach west, the grasses have overtaken and now blow gently in the breezes of a hot summer afternoon. No smell of baking creosote or hot ballast on this summer day. This little town is actually "New" Lavina after being moved to the present location when surveyors for the Milwaukee Road plotted the mainline through this part of Montana . The old town and its stage coach stop were left behind to welcome the station calls of trains traversing the Pacific Coast Extension.